I changed the decor in my front entry, just in time for Valentine’s Day, with items from Goodwill. 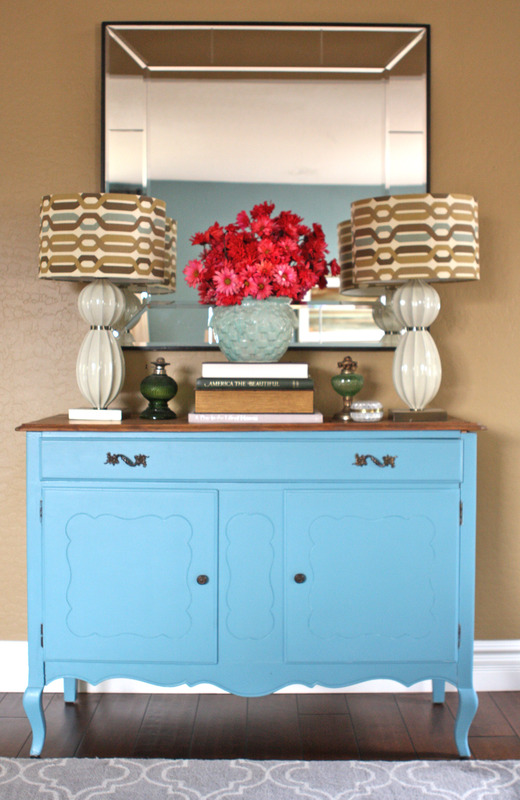 I took a pair of lamps I normally keep in my family room and added them to the turquoise buffet. I wanted some pretty flowers to brighten up the space so I stacked some books, before displaying my McCoy Pottery planter, for height. I then added a couple of mismatched green lanterns, without the chimneys to complete the look. 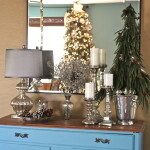 Do you like this buffet decor? I think it adds a bit of interest to my front entry, don’t you?